Like it or not, with the invasion of Georgia, we have a new Cold War – as well as the profit opportunities that accompany such a conflict. International investors were able to make a lot of money during the “first” Cold War, so if any more politicians or TV commentators tell me they don’t want a return to those halcyon days, I shall scream. And since the situation in Georgia has effectively created a new Cold War status, it’s worth reviewing where the profit opportunities will be this time, and which countries the sensible, geo-strategically conscious investor will avoid – especially since Vladimir Putin looks a lot more dangerous than the sluggardly Leonid Brezhnev. You probably didn’t have much money in Georgia, Ukraine, or Kazakhstan, the three countries most immediately affected by this. Georgia, which had been well run economically, but was too small to be on most investors’ radar screens, has become a very dangerous investment location, indeed. Kazakhstan is likely to turn much more hostile to Western investors as it reorients itself towards a newly aggressive Russia. Companies like Italy’s Eni S.p.A. (ADR: E) that had appeared to do well out of their ability to invest in difficult environments like Kazakhstan will watch as that “difficult” mutates to “impossible,” perhaps even losing their proverbial shirts there. Only the Ukraine seems to be trying its best to remain pro-Western, with its president, Viktor Yushchenko, flying in to Tbilisi to express solidarity with Georgia. However Ukraine has a presidential election next year – and no prize for guessing who will be trying to influence that election in favor of a pro-Russian anti-Western candidate, by violent means if necessary. Then there’s Russia itself. Investing in Russia has always been a bit like visiting Las Vegas – but now it’s like wagering large amounts of money in a casino you know to be controlled by the Mafia. You might win, but the downside potential is much greater than the upside. What’s more, Russia’s tendency to take aggressive action without worrying about Western reactions is likely to cause sharp stock market crashes when it happens, as Wall Street panics and rushes for the exits. And it’s not as if Russia is economically well run; they have done very well since 2000, but entirely because of rising oil prices. At some stage, oil prices will reverse – at which point Russia, with its thuggish approach and expensive military machine, is likely to run out of money quite quickly. As with Venezuela, foreign investors will then be the most obvious people to loot. There are also implications for investors outside these most-deeply affected countries – but those implications are much-less extreme. Most of the Eurozone is vulnerable to energy blackmail by Putin’s Russia, which has effectively put out of action the oil and gas pipelines that pumped non-Russian energy through Georgia. Moreover, if Russia’s belligerence continues, this new Cold War reality will force EU countries to reverse their current plans calling for minimal defense spending – they will want to protect both themselves and the particularly vulnerable EU members of Eastern Europe (notably Estonia, Latvia and Lithuania, which were part of the Soviet Union in 1940-1991) from sudden Russian assaults. On one hand, that will put an immense strain on government finances and slow economic growth. On the other hand, such defense-oriented stocks as BAE Systems PLC (Pink Sheets ADR: BAESY) and EADS (Pink Sheets ADR: EADSY) can be expected to benefit. The United States will also need to boost its defense spending – no matter which candidate wins November’s presidential election, putting a major strain on an already sagging U.S. federal budget, probably leading to higher interest rates and lower economic growth. Defense industry favorites, especially those oriented towards high-tech conventional war such as The Boeing Co. (BA), B-2 Stealth Bomber maker Northrop Grumman Corp. (NOC) and Lockheed Martin Corp. (LMT) can be expected to benefit accordingly, as these firms did during the 1980s, in the last major military buildup of the Cold War. The other beneficiaries will be those countries that are uninvolved. India did well in the 1950s and 1960s through its posture of neutrality between the West and the Soviet bloc; this time it will be firmly in the Western camp, but relatively uninvolved so its rapid growth can be expected to continue. China shares a border with Russia, but its military forces are already so huge that Putin is unlikely to want to mess with them. Last time around, China was a Russian ally until 1972; this time Putin may find he made a major mistake in timing his invasion of Georgia to coincide with China’s Summer Olympic showcase. Matters of “face” are very important to the Chinese government, so China is more likely to be drawn into siding with the West, in any case an infinitely more important business partner than Russia and its rag-tag allies. Finally, Brazil is so remote from the action that its growth is also likely to be unaffected, with any attempts by Russia and its friends, Venezuela and Cuba, to sow subversion in the region being easily resisted by the much larger Brazil. It’s not entirely a re-run of the “first” Cold War, to be sure. One enormous advantage is that Russia alone is much smaller than the former Soviet Union, both in terms of population and its weight in the world economy. And this time around, oil will be a major focus. 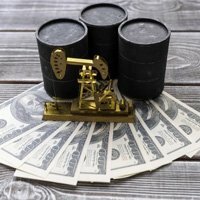 If oil prices stay high, Russia’s strength might grow, but lower oil prices are now so obviously in the interest of the United States and Eurozone that they will surely pursue every avenue to get them down, including the hitherto forbidden policies of higher interest rates and offshore drilling. The “World is Flat” was – in many ways – a lovely dream, as in Thomas L. Friedman’s 2005 book. It was never entirely realistic, and certainly isn’t now. But there are many profit opportunities available for the shrewd investor in this newly lumpy world – especially one afflicted by a new Cold War. Russia's 'Full Scale Invasion' of Georgia (Updated, with Video). Venezuela Says “Adios” to Most Foreign Investment, Making it a Stay-Away Play for Investors. BP Caving to Kremlin Pressure Over Joint Venture. With the New Russian President Vowing to Steer a Steady Ship, U.S. Investors Can Look to Profit. The New Cold War: How Russia Has Turned Its Energy Exports Into Weapons of Diplomacy. Election 2008: Obama or McCain – U.S. May Suffer Either Way. Beijing 2008 Summer Olympic Games.